A list of the 73,000 names of Americans on whom the National Security Agency kept files does not exist. As noted in the posting, the files on those Americans were destroyed in 1974. The “Rhyming Dictionaries” that included the more than one million names gathered through SIGINT are classified, if they have not already been destroyed. It would take the declassification of all of the “Rhyming Dictionaries” for researchers to sift through them and extract the names of identifiable American citizens. As a first step, the Archive has filed a request to the CIA for the names under letter "A" for the 1959-1969 period. (Footage from the "Nuclear Vault," an AIRBOYD channel​). Washington, D.C., September 25, 2017 – The National Security Agency’s (NSA) own official history conflated two different constitutionally "questionable practices" involving surveillance of U.S. citizens, according to recent NSA declassifications published today by the National Security Archive, an independent research organization based at The George Washington University. During the mid-1970s, the U.S. Senate’s Church Committee investigated a number of such “practices” by NSA, including the so-called Watch List program, which monitored the international communications of anti-Vietnam war activists and other alleged “subversives.” The “Watch List” was one of the questionable activities; the other was the NSA’s creation of a voluminous filing system on prominent U.S. citizens whose names appeared in Signals Intelligence (SIGINT) collected by the Agency. That filing system, abandoned in the early 1970s and destroyed in 1974, stayed secret for years. The files on well-known Americans were a product of the Agency’s sweeping efforts to track the communications of Cold War adversaries and to identify the individuals mentioned in them. Ultimately the filing system, and corresponding indexes, surpassed 1,000,000 names, including 73,000 U.S. citizens mentioned in SIGINT collected by the Agency. Among them were politicians, corporate leaders, trade unionists, Hollywood personalities, and journalists, ranging from Church Committee member Senator Walter Mondale (D-MN) and actor Joanne Woodward to IBM CEO Thomas Watson and United Auto Workers President Leonard Woodcock. The recent NSA release has more information on the Watch List, such as the identities of a number of targeted individuals and organizations: Canadian actor and antiwar activist Donald Sutherland, civil rights leader Ralph David Abernathy, journalist Seymour Hersh, antiwar activist David Dellinger, the Venceremos Brigade, and an entire social movement, Women’s Liberation. Four years ago, the National Security Archive published a newly declassified National Security Agency history that included details about the Agency’s Watch List. As it turned out, the Agency’s history mistakenly folded in the NSA’s filing system on U.S. citizens into the Watch List, which focused on social reformers, revolutionaries, anti-war activists, and their organizations. Thus, the history incorrectly stated that Senator Howard Baker and journalists Art Buchwald and Tom Wicker, among others, were on the Watch List. Declassified documents confirm, however, that the NSA included those individuals and 73,000 others as part of the Agency’s name files of U.S. citizens. New documents that the NSA released to the Archive through a mandatory declassification review appeal provide an important corrective to the Agency’s official history by demonstrating that the Watch List and the biographical files were what the Church Committee – the U.S. Senate Select Committee to Study Governmental Operations with Respect to Intelligence Activities, chaired by Senator Frank Church (D-ID) – saw as two different “questionable practices” with respect to the Agency’s treatment of U.S. citizens. To identify people mentioned in intercepted messages and other SIGINT products, the NSA (and its predecessors) created special indexes and sets of biographical files. The index to the biographical files was the “Rhyming Dictionary” used by NSA analysts as they decrypted and reported on SIGINT. Eventually including over a million names, the “Rhyming Dictionary” was organized in forward and reverse alphabetical order to make it easier for intelligence analysts to access the names of individuals and to retrieve biographical files as needed. When the Agency began to collect the names of U.S. personalities during the 1960s, it included them in the “Rhyming Dictionary” and created corresponding files that ended up filling 8-10 filing cabinets with over 73,000 entries. According to the newly declassified documents, among the subjects of biographical files were prominent U.S. individuals. Besides Joanne Woodward, Thomas Watson, and Walter Mondale, the files included Washington Post humorist Art Buchwald, Federal Reserve Board Chairman Arthur Burns, actor Gregory Peck, Congressman Otis Pike (D-NY), New York Times columnist Tom Wicker, civil rights leader Whitney Young, and members of the Senate Select Committee including Howard Baker, Jr., and Frank Church. The Church Committee regarded the creation of files on American citizens by a U.S. intelligence agency as an improper activity, but their specific existence was not disclosed at the time, even though the procedures that generated such files were discussed during hearings. The NSA’s Watch List, the other dubious activity, had been created in the early 1960s to keep track of U.S. citizens traveling to Cuba. During the following years Watch List targets broadened. After President Kennedy’s assassination, it included possible threats to the president. 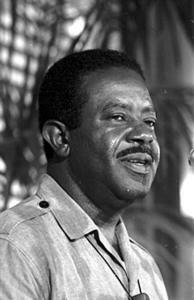 On 20 October 1967, the Watch List began including anti-Vietnam War and civil rights activists, after U.S. Army intelligence informed the Agency “that Army ACSI, assistant chief of staff for intelligence [General William P. Yarborough], had been designated executive agent by DOD for civil disturbance matters and requested any available information on foreign influence over, or control of, civil disturbances in the U.S.” That comported with the thinking of President Lyndon Johnson who privately claimed that covert financial support from "international Communism" was behind the anti-Vietnam War movement, which was then preparing for a major demonstration in Washington (21 October 1967). To determine whether there were such connections, the Federal Bureau of Investigation began providing hundreds of names for the Agency’s Watch List. During the Nixon administration, the list expanded further to include narcotics traffickers and terrorist organizations. 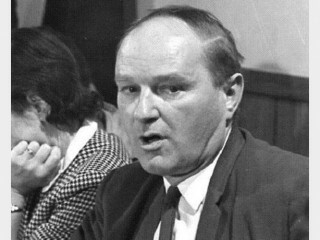 Senator Church and his colleagues did not object to Watch Lists of narcotics traffickers or to genuine threats to the president, but they wondered about the “lack of adequate legal basis for some of this activity and what that leads to.” Allen agreed that there was a problem and spoke of “domestic intercepts which cannot be conducted under the President's constitutional authority for foreign intelligence,” which meant that “we are not authorized by law or constitutional authority and they are clearly prohibited.” As General Allen explained, there were “interpretations which deal with the right to privacy [from] unreasonable search and seizure of the fourth amendment.” It was “self-doubt” (referred to in Document 10) that led the NSA to stop accepting Watch Lists with the names of U.S. citizens in the summer of 1973. When Attorney General Elliot Richardson raised questions about the propriety of FBI and Secret Service requests for information from NSA Allen officially closed down the program. A mandatory declassification review request by the National Security Archive to the National Security Agency produced the documents in today’s posting. The subject of the request was the sources cited in an endnote to the NSA history. The documents in the Agency’s initial release were excised and more information on the watch list and the Rhyming Encyclopedia was released under appeal. Pending declassification requests to the FBI and other agencies may produce more information on the history of the Watch List. Lt. General Marshall S. Carter (U.S. Army), formerly Deputy Director of the Central Intelligence Agency, was Director of the NSA when the Watch List program was expanded. He served during 1965-1969. 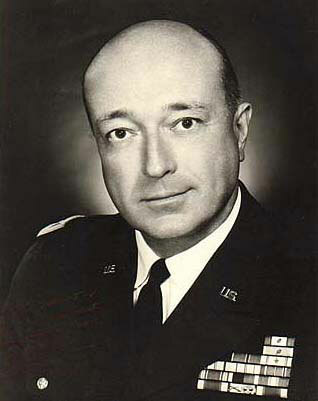 Lt. General Lew Allen (USAF) became NSA Director in August 1973, when the Justice Department began raising questions about the propriety of the Watch List. He was the first NSA Director to testify in public, when he appeared before the Church Committee in October 1975. 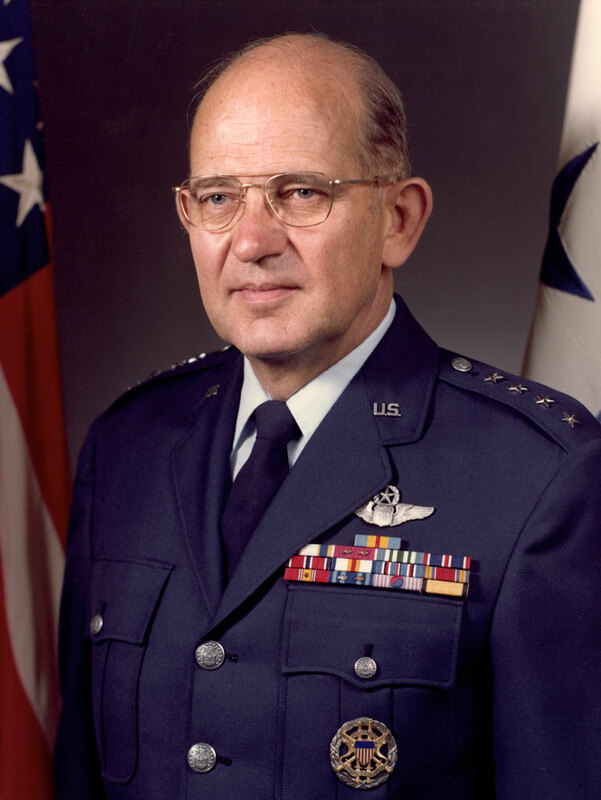 He later became Air Force Chief of Staff.
. This and the following paragraphs draw on testimony by NSA director Lew Allen and comments by Senator Frank Church in U.S. Senate Select Committee to Study Governmental Operations with Respect to Intelligence, Hearings Before the Select Committee to Study Governmental Operations with Respect to Intelligence Activities of the United States Senate, 94th Congress, First Session, Volume 5, The National Security Agency and Fourth Amendment Rights, October 29 and November 6, 1975 (Washington, D.C.: Government Printing Office, 1976); Also, on the Watch List, see Bamford, The Puzzle Palace, 316-323.
. Johnson’s suspicions led to demands on the CIA for intelligence demonstrating the link between domestic protests and the Communist movement. Dissatisfied with the Agency’s conclusions that student unrest was a “home-grown phenomenon,” Johnson and his advisers pressed DCI Richard Helms for more information to make the opposite case. Those pressures led to CIA snooping on student movements--“Operation Chaos”-- an activity that transgressed the Agency’s charter, but DCI Richard Helms complied with Johnson’s requests, without protest (although there was dissent within the Agency). See Thomas Powers, The Man Who Kept the Secret, Richard Helms & the CIA (New York: Alfred A. Knopf, 1979), 245-246; Rockefeller Commission, Report of the President's Commission on CIA Activities Within the United States, 130-150.